walking distance of the centre of Dufftown which itself is in the heart of Malt Whisky country. and 63 miles from Dufftown, both having International Airport facilities. - Comfortable lounge including T.V. 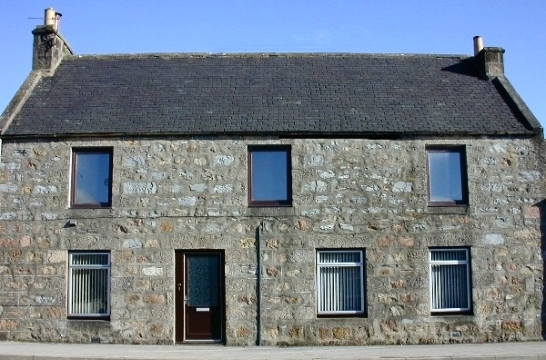 Balvenie Street self catering accommodation is not only in the heart of Dufftown but it is also in the heart of the most beautiful part of Moray, situated minutes away from some of the most famous distilleries in the world, the highest Corbett in Moray, Ben Rinnes, and only a few miles away from one of the most spectacular National parks and mountain ranges, the Cairngorms. The holiday accommodation we can offer is incredibly spacious and very well presented, a real home from home in the Highlands. For more information on the facilities we offer please click on the Accommodation link above.